Digital Dining provides a branded mobile and online ordering platform for restaurants with customer analytics, marketing automation and a ton of other features to help you increase your revenue and surpass the competition with state of the art software. Orders placed from your website — using our turnkey solution online ordering solution — are sent directly into Digital Dining POS and routed to the kitchen. Customers can pay in-store or pre-pay on the website, and those payments are automatically recognized and reconciled by Digital Dining, giving restaurant operators a seamless and efficient experience when offering online ordering, while maintaining sales, inventory, and financial records effortlessly. This integration will enable restaurant owners to grow sales and build customer loyalty while reducing the ratio of labour to sales by leveraging the normally underutilized restaurant website. With an online ordering interface, Digital Dining merchants now have an additional channel to reach consumers and drive sales beyond their four walls. Using Digital Dining online ordering, restaurant owners will be able to configure open and close times, order time limits, future orders, manage delivery, pickup, and curbside orders, track shopping cart pre-payments and promotions, and a variety of other online functions. 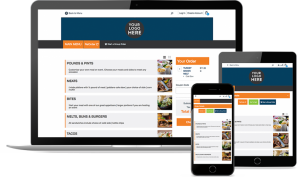 With Digital Dining online ordering your website becomes an interactive money making tool increasing your order taking capacity without increasing labour, and providing yet another value added feature to garner hard to get customer loyalty. Our online ordering system is already integrated with the Digital Dining Restaurant Point of Sale System, so all incoming online orders are managed in one system – Digital Dining. Orders report at the POS, can be opened and edited, and paid. In addition, they print automatically into the kitchen on the appropriate kitchen printers and they are properly labelled so that kitchen staff know exactly where they came from, who they’re for, and when the customer is picking it up, or when it should be delivered. Managers will be relieved at the end of the night as well, when they discover that there’s only one cash out report and all sales report on the same restaurant reports as all your other sales! This system is much easier to reconcile than a separate system! When menu item prices change or new items are added in the restaurant, your Digital Dining restaurant web order system changes as well. There is no need to program the items again into the online ordering system. When it comes to data uniformity and ease of use, Digital Dining has it covered. Nearly half of consumers are Millennial, and 90% of Millennials use their mobile devices. Offer your customers the convenience of online ordering from your restaurant while on the go! Customers with a Windows, Android, or Apple smartphone will be able to order online with a 100% mobile compatible experience. Don’t have a restaurant website? No problem. 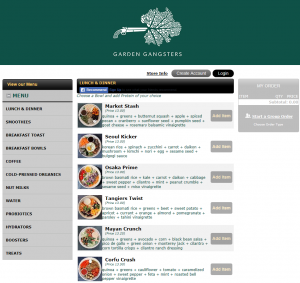 Digital Dining restaurant web order system offers a Facebook interface so that your customers can order take out using your restaurant’s Facebook page! How cool is that? Multi-store operators will be pleased to know that the Digital Dining online ordering system has full support for enterprises, enabling users to select a store before placing their order to provide maximum convenience and efficiency.